Earlier today, Collider got the opportunity to speak with Chris Evans by phone, on behalf of his new drama Puncture (opening in theaters on September 23rd). The film centers on a talented young Houston lawyer and functioning drug addict (played by Evans) who decides to take on a case that reveals a health care and pharmaceutical conspiracy that could cost the lives of health care workers and nurses throughout the country. Question: Did the success of Captain America allow you to breathe a sigh of relief, going into The Avengers, knowing that audiences want to see more of the character? CHRIS EVANS: Oh, yeah, absolutely! Plus, with The Avengers, we’re sharing the workload. It’s a lot nicer when you’re not the only one wearing a silly costume. Having gone from Captain America right into The Avengers, how long do you get to be Chris Evans and not Steve Rogers, especially with Marvel releasing two films a year now? EVANS: It was pretty quick. We finished Captain America in December. 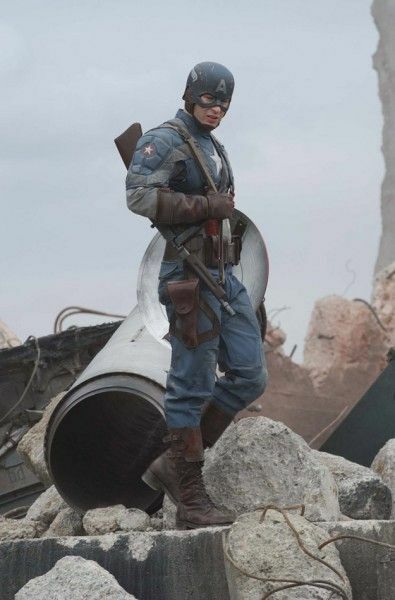 We had about a month off, and then we had to do about a month of re-shoots for Cap. And then, we went right into The Avengers. It was a quick turn-around. 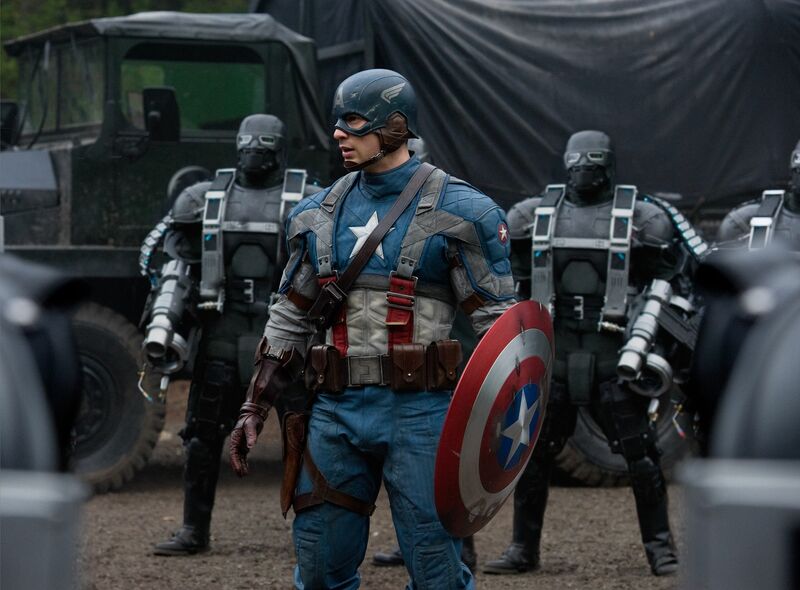 Do you have any idea when you’ll start work on Captain America 2? EVANS: No, not yet. There’s no official word. What’s it been like to film The Avengers in New York, with all the attention that draws from people taking photos and fans wanting to get a glimpse? EVANS: It’s chaos! That was the one tricky part of working in the city. There were a lot of rubber-neckers. Have you adjusted to living life in the spotlight now? Is it easy for you to tune that out and just focus on the work you’re doing? EVANS: Yeah. My life hasn’t changed too much. It’s tricky when you’re working and you’re on a set, and obviously it’s a spectacle and people are giving you attention. But, when I’m not working and I’m living my life, I still have a decent amount of anonymity. Is there something you’re looking for now, when deciding which projects you want to sign on for? Does it start with the script, or is it more about the director? EVANS: For me, it starts with the director. You could have a great script, you could have a great role, but if you don’t have a good director and storyteller, you’ve got nothing. I’m trying to make good movies. There are plenty of scripts that I’ve read where I’ve been completely in love with the character, but no matter how self-gratifying it is to portray a character, if you don’t have a good film, it’s not worth it. It’s like scoring 50 points, but losing the game. You want to win the game. You want to make good movies. Without a good director, the best role in the world doesn’t mean anything. Are you hoping to continue to balance the big blockbusters with smaller, character-driven films? EVANS: Yeah, that’s the goal. You do movies like Captain America, so that you’re afforded the opportunity to take on these smaller ones and hopefully get them green-lit. It’s not easy getting movies like that on their feet. Now that you do have a name and can get smaller films made and in theaters, does that make you scrutinize the films that you’re look at more, to make sure that they’re things you really want to be a part of? EVANS: Oh, absolutely! I couldn’t have said it better. You have to navigate and make sure that you’re making the right choices, and not just working. Have you thought about what you want to do, once you’re finished with The Avengers? EVANS: No. God, not yet. I’m still living moment-to-moment. There’s so much on my plate right now that I’m just trying to take one step at a time.